Ross graduated from the University of Queensland Dental School in 1974. Prior to this Ross worked as a Jackeroo. Ross has been married to his wife Jenny since 1970 and has four adult children and four grandchildren. Upon graduation, he worked in North Queensland for four years before buying a practice in Atherton. In 1982 Ross and his family moved to Toowoomba. 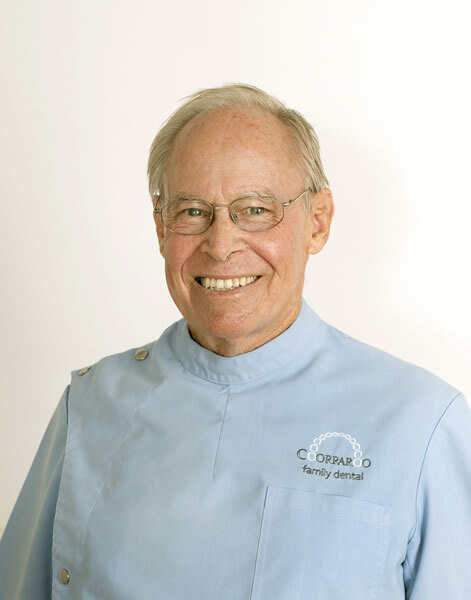 In 1989 Ross bought and began working at Coorparoo Family Dental. He has been an involved member of the Australian Dental Association, where he chaired the continuing professional development committee. Ross has an outstanding reputation for beautiful lasting dentistry. He loves coming to work and catching up with patients and their families. Outside work Ross enjoys spending time with his grandchildren, gardening, body surfing, fishing and looking after his pet cat.